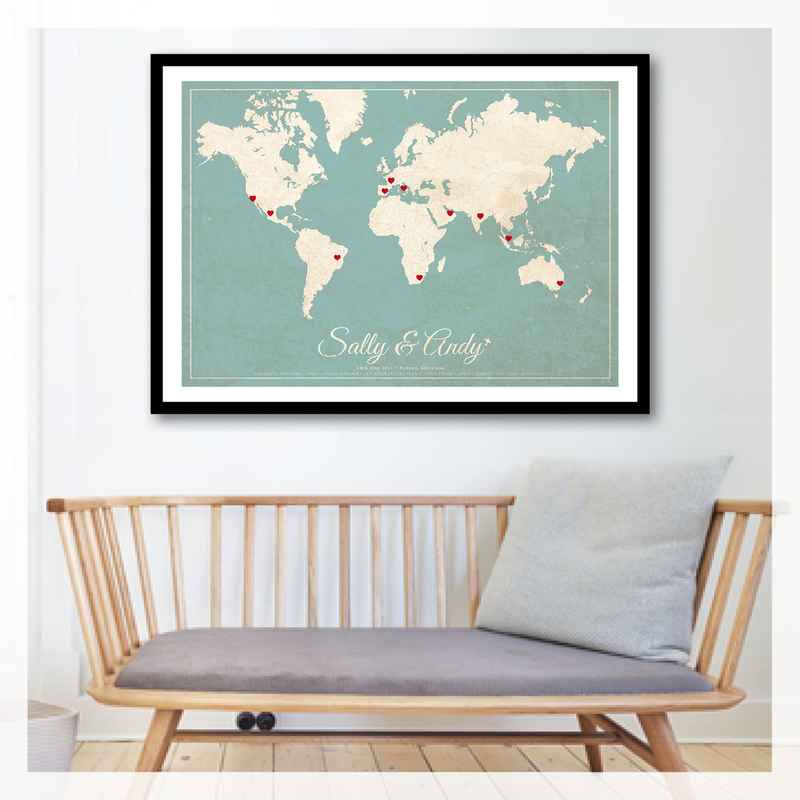 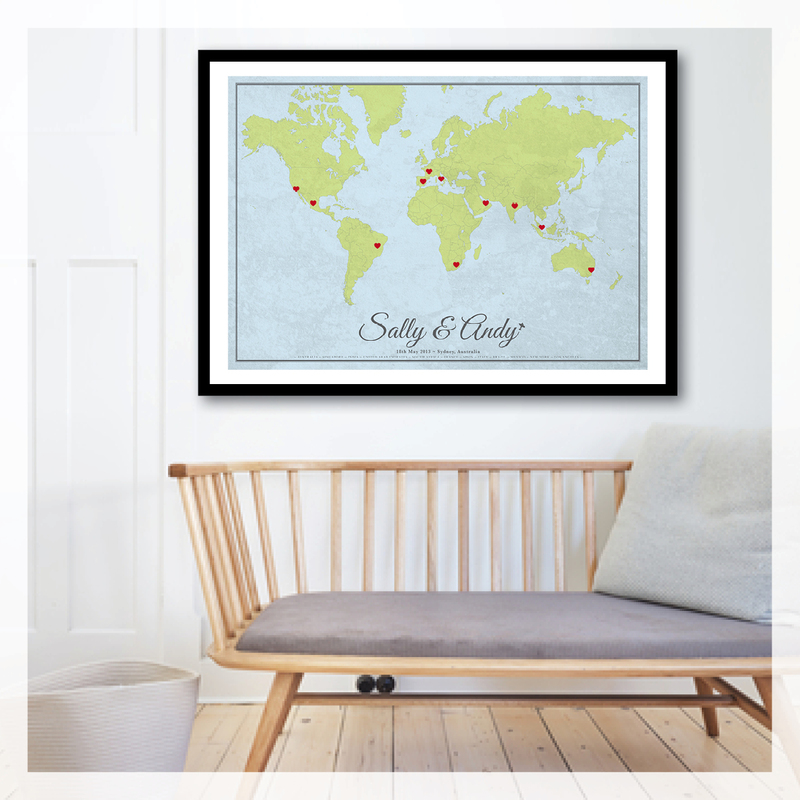 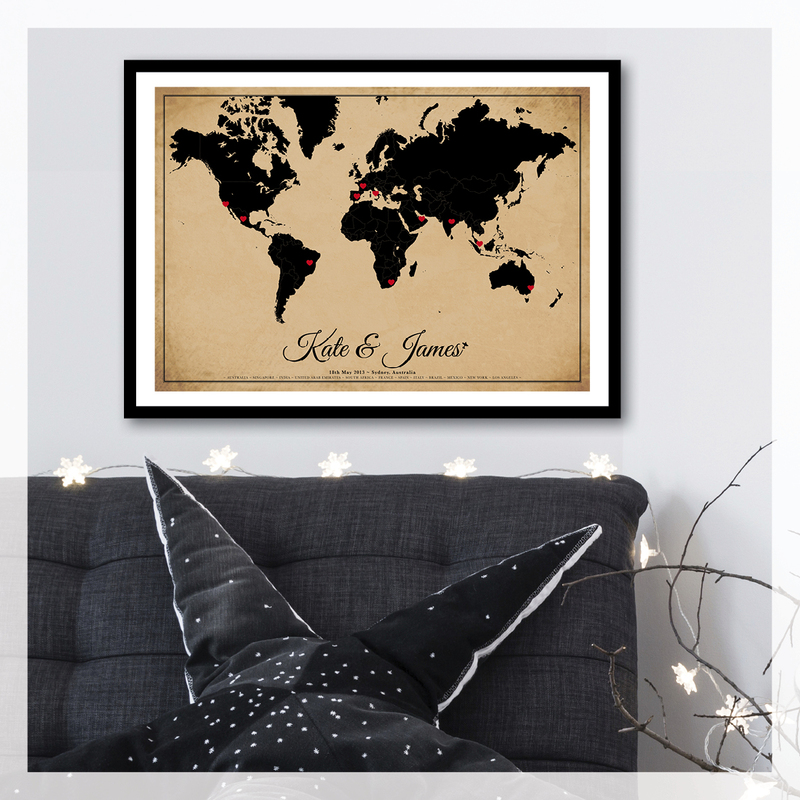 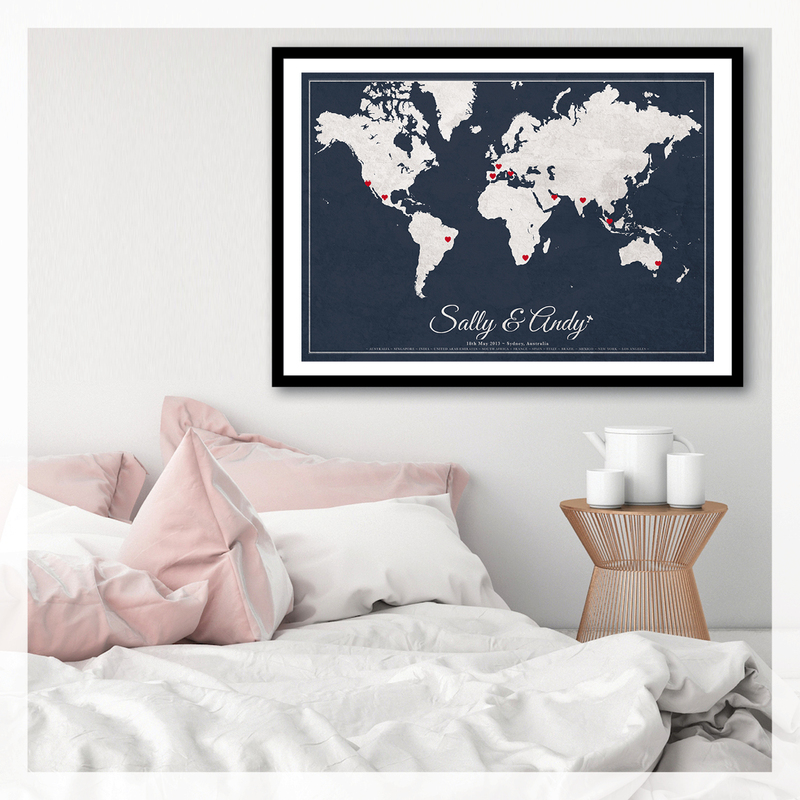 Gorgeous vintage style world map poster - a perfect gift for newlyweds! 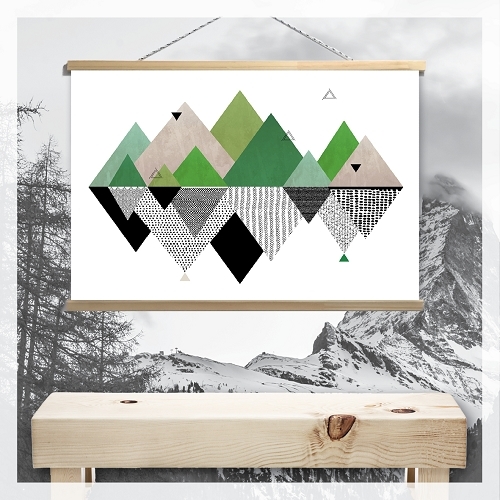 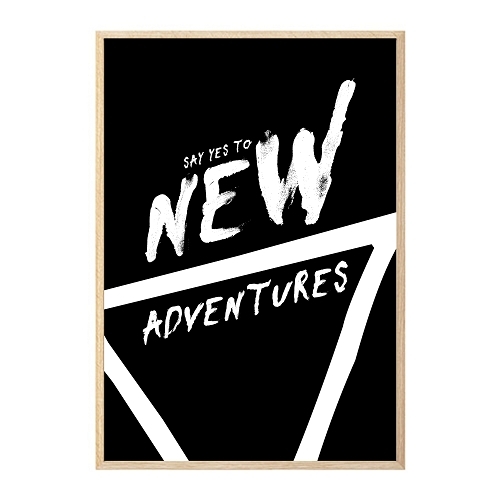 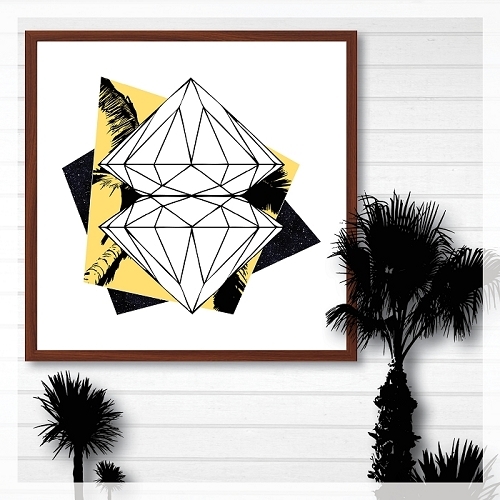 A different twist on the very popular tram scroll print. 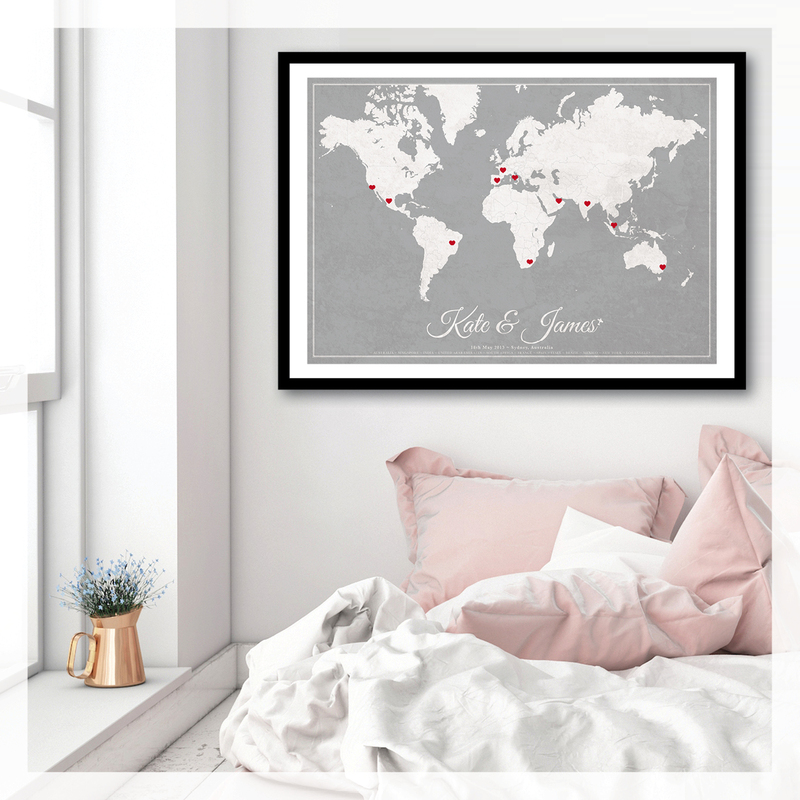 The custom details include first names, wedding date and location followed by list of places visited on honeymoon. 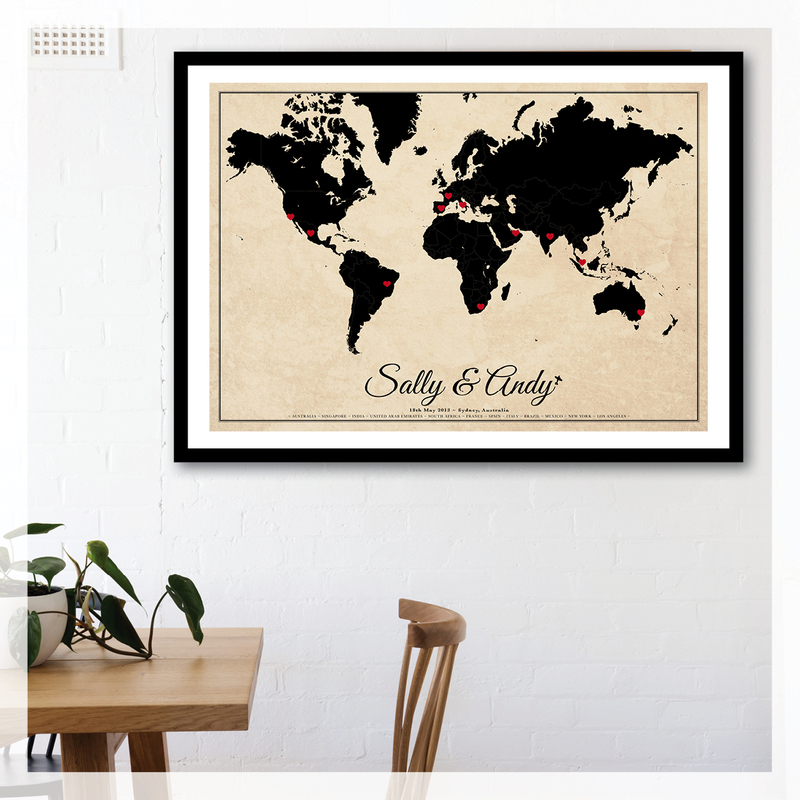 Great conversation starter and reminder of memories.